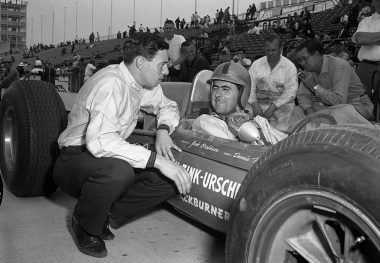 JACK BRABHAM began his racing career in 1946 in his native Australia where he drove midgets on short oval tracks to four championships. In the 1950s, he broadened his racing activities to include road races, hill climbs, and his first European Formula One race in 1955. 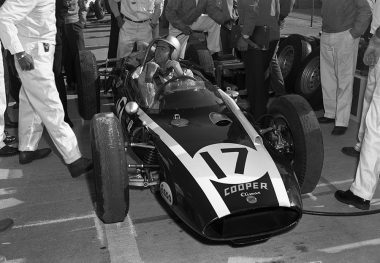 Joining the Cooper “works” team in 1957, he won the Formula One World Championship in 1959 and 1960, and after forming his own team, added a third title in 1966. 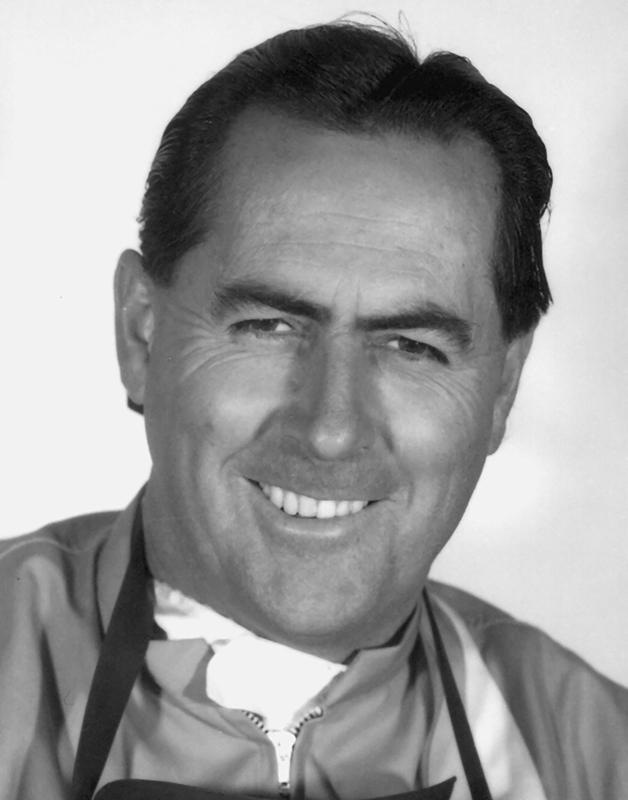 In 1967, Denis Hulme of New Zealand won the World Championship for Brabham’s team. 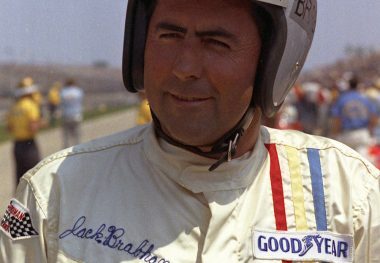 In all, Brabham won 15 Grand Prix races from 1959 through 1970. While his focus was on Formula One races, in 1961 he took an under-powered rear-engine Cooper-Climax to Indianapolis and astounded the racing fraternity by qualifying at 145.144 miles per hour and finishing ninth. That was the first time a rear-engine car had completed more than 47 laps of an Indianapolis 500. 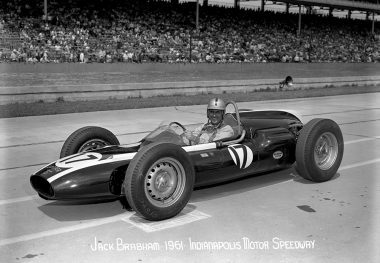 He drove a car of his own make in the 1964 Indianapolis 500, which was the basis for the very successful Brawner Hawk chassis, driven by Mario Andretti to many successful finishes. 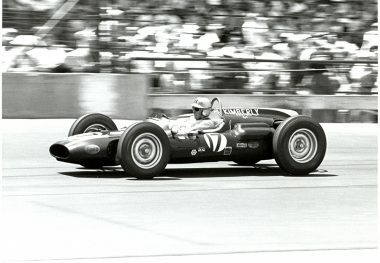 In 1970, Brabham also briefly led the Indianapolis 500 in his final start in Indianapolis. Her Majesty Queen Elizabeth II later knighted Brabham for his contributions to motorsports.